VASCA Aquarium Supply is a distributor of over 5,000 aquarium products from 65+ manufacturers. VASCA's 11,000 sq. 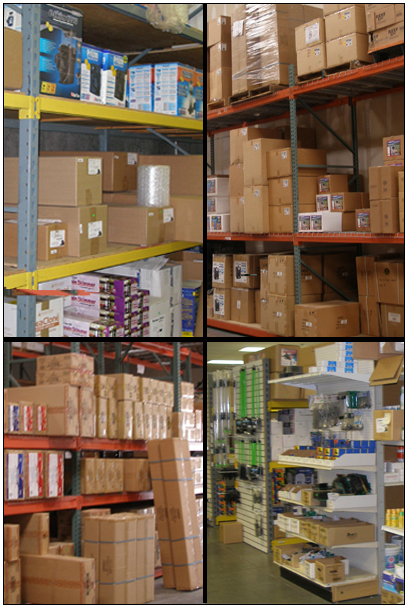 ft. distribution facility in Tempe, Arizona is open only to approved wholesale customers in the aquarium trade. The www.vascaaquariumsupply.com Web site is only for wholesale customers in the aquarium trade (& qualifying public and private institutions). To view prices and order through the site you must first apply for an account. NOTE: While Groupon's claims of a VASCA menagerie are inaccurate, we do have plenty of parking. In 1994 Paul was one of the original two founders of VASCA Aquarium Supply. As an avid reef hobbyist Paul realized there was a lack of distribution to stores in the emerging saltwater and reef aquarium markets. His first forays into the distribution market were with the Red Sea Fish pHarm line and his own line of Inland Seas Trace Elements. Over the years with VASCA he has added 80 more product lines from manufacturers around the globe. With a background in retail and outside sales, accounting, engineering and commercial audio and theatrical lighting, Paul has the diversity of knowledge necessary to help customers achieve their goals in the continually changing aquarium market. Always looking to further his skill set, in recent years he completed the ASU WP Cary School of Business Small Business Leadership course. Paul resides in Tempe, Arizona with his wife, dog, cat, fish and corals, and he has two grown daughters. In his spare time he enjoys wood working, mountain biking, kayaking, RVing and playing the drums. After studying film at UC Santa Cruz, a couple years running a language school in Korea, a couple years teaching history and Master's Degree studies at University of California San Diego at IR/PS, David became fascinated with the possibilities of the internet and software. He created retail and informational web sites, databases, business plans and marketing materials for various San Diego area small businesses, the University of California San Diego and software provider Ameranth. David joined his brother Paul at VASCA as an owner in 2004, bringing to the company his marketing and internet experience. At VASCA he has carried out his lifelong dream of owning a forklift. David lives in Phoenix with his wife and high school age daughter. When not tethered to his desk at VASCA, and not working on his old Adobe-Tudor home in Central Phoenix, he spends his time playing and watching soccer and bludgeoning an unsuspecting world with his guitar playing and singing.